In a medium bowl combine oats, almonds, coconut, cocoa powder, and espresso powder. Whisk the coconut oil, maple syrup, and vanilla together. Pour over the oat mixture and stir to combine. Spread the granola on a large baking sheeting in an even layer. Bake for 50 minutes without stirring (no stirring=better clusters). Rotate the pan halfway through baking. 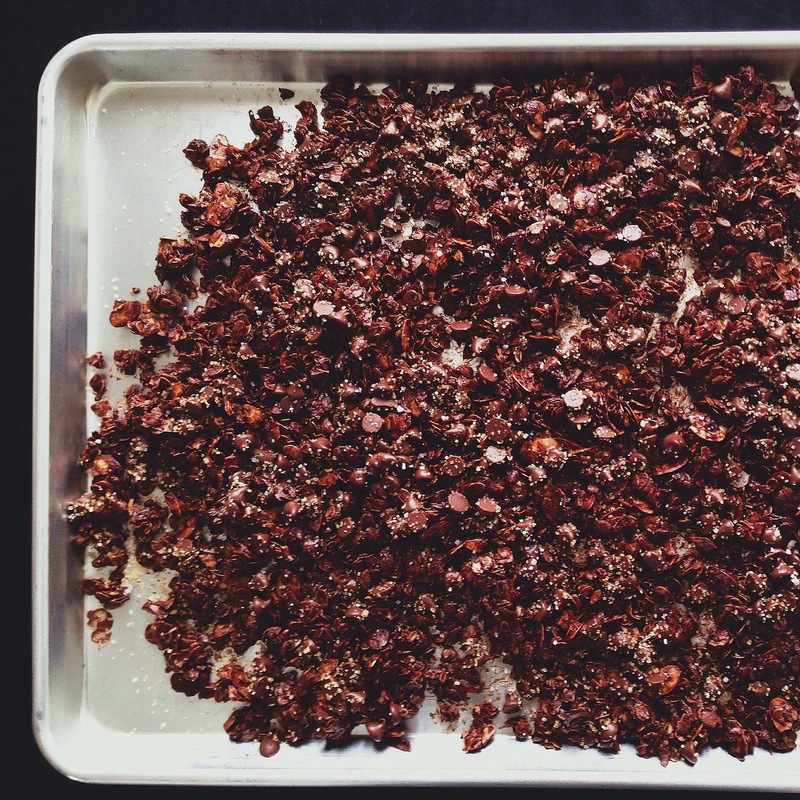 After 50 minutes, sprinkle the cup of chocolate chips over the top of the granola and return to the oven for 5-10 minutes until the chocolate chips are soft and melty. Remove granola from oven and sprinkle with turbinado sugar and coarse salt to taste. The sugar and salt should stick to the melty chocolate chips. Mmmmm! Let the granola cool for 1-2 hours (It was during this cooling process that I couldn't not stop snacking). Gently scoop the granola into an air tight container and try not to consume in one day.